Set amongst native bushland and located just minutes from the pristine beaches of the famous Gold Coast, this comprehensive campus plays host to over 16,500 students from all over Australia and the world. Widely acknowledged for its strengths in Health, Griffith’s Gold Coast Campus boasts state-of-the-art facilities, including the $136 million Griffith Health Centre, co-located with the Gold Coast University Hospital. Students can relax at a campus cafe, and enjoy extensive sporting facilities, including an Olympic-standard athletics track, a gym and basketball and tennis courts. There are many handy services right on campus, such as banking, post, medical, welfare and student guild services. On-campus accommodation is available and assistance can be provided with finding off-campus accommodation. 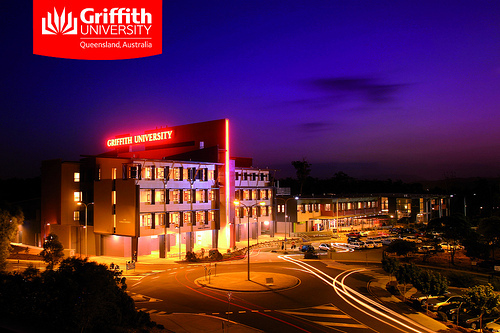 State-of-the-art facilities at Griffith University’s Gold Coast campus include the Griffith Centre for Medicine and Oral Health, the new Clinical Science precinct and the multimedia digital precinct. The Griffith Centre for Medicine and Oral Health – home to the first School of Dentistry to be established in Australia in almost 60 years – opened its doors next to the Gold Coast hospital in 2005. The $36 million Centre is the latest addition to the campus’ expanding health portfolio. The Gold Coast campus also offers a computer shop, credit union, hairdressing salon, post office, convenience store and STA Travel outlet. The Gold Coast campus offers a wide range of dining options from coffee stands to a modern restaurant and wine bar, G’s Wine Bar. Other venues include Coffee Bug and Coffee Cellar, the Uni Bar, and the Koala Café. The Gold Coast campus offers two extensive libraries which encompass a Laptop Lounge, DVD Lounge, Research Zone, Quiet Study Zone and Silent Study Zone. Alternatively students can pull up a patch of green grass or hit the books on the beach. There’s also an on-campus bookshop. Beach volleyball, indoor soccer, basketball and tennis are all on offer; alternatively you can hit the gym or run laps on the National Standard Gold Coast athletics track. If indoor pursuits are more your thing, hit the Uni Bar for a few games of Pool.